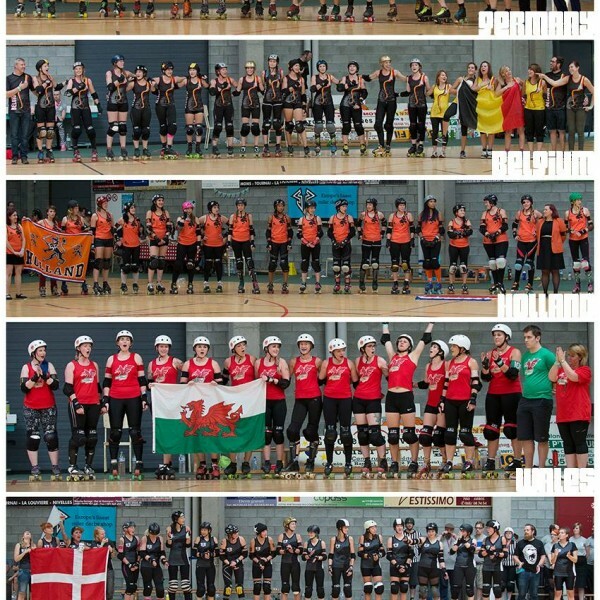 national teams of roller derby from the four corners of Europe opposing! all weekend, qualifying matches, with one goal: reach 1st podium places! a unique competition in this young sport that is roller derby! The 2nd edition is over! France won the European Roller Derby Tournament! See you in 2018 for the 3rd edition! You’ve craved for it! You’ve dreamed about it! Well, here it is: the 2nd edition of the European Roller Derby Tournament ! In Septembre 2014, here in Belgium (Mons – Bergen), 8 National Teams came from all over Europe and displayed a tenacious fight in order to win the first edition of this tournament. It was the first time that a tournament of this scale happened in Europe. This time it’s going to be even better, there will be more teams and more matches which means more suspense and more excitement! So, let’s met at the same place on the 10th and 11th of Septembre 2016! Stay in touch as more appetising information will keep coming week after week. This event is organized by Roller Derby Mons (Freaky Mons’ter Derby Ladies) with the help of wonderful people! Friday: an amazing exhibition Game!